The Bushwacker name is founded in 1974 and is now a subsidiary of Lund International. 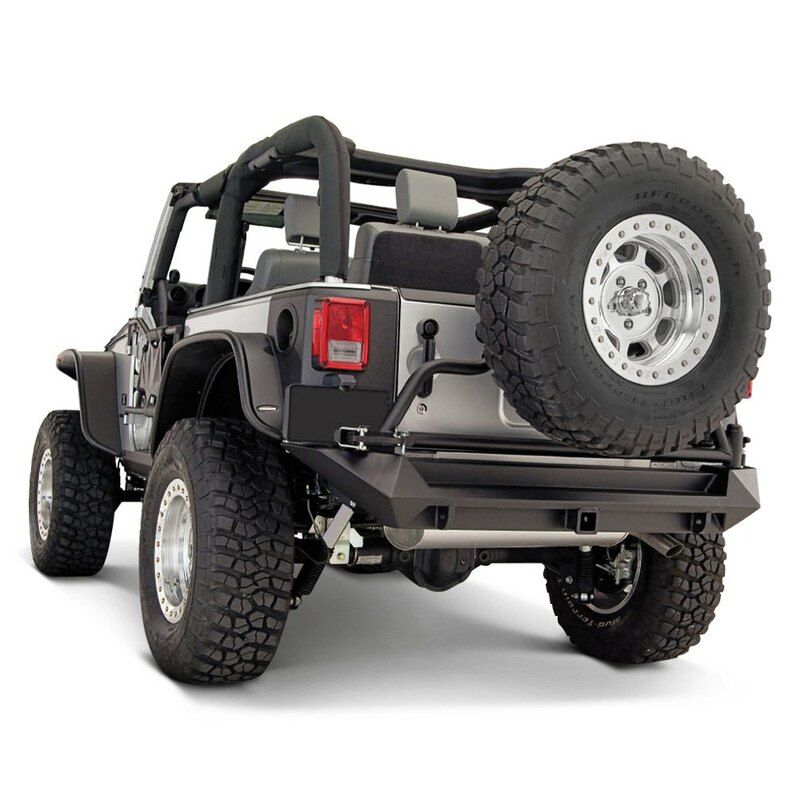 Bushwacker fender flares, trail armor, bed rail caps, and soft tops are consistent bestsellers. If you happen to be looking for premium and rugged fender flares, soft tops, and other off-road accessories for your import or domestic truck/SUV, Bushwacker is one the best choices in the aftermarket scene. Bushwacker bedrail caps are designed to protect and bedrails and tailgates from dings, nicks, and scratches, Bushwacker bedrail and tailgate caps are designed using state-of-the-art CAD technology to offer superior coverage and a perfect OEM fit. 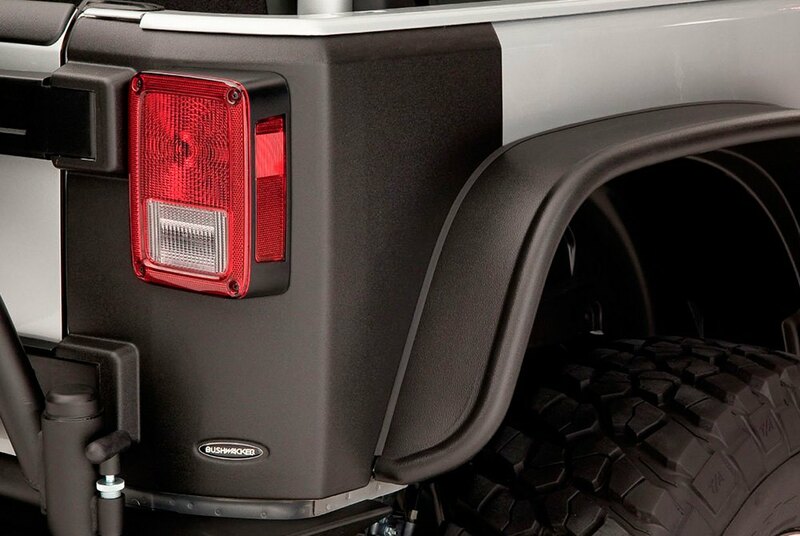 Bushwacker fender flares are crafted in the USA. Utilizing the best quality Dura-Flex 200 material, Bushwacker fender flares are tailor made for a perfect fit and will protect the fenders from dirt and debris. The great thing about Bushwacker fender flares are the aggressive appearance. The fender flares look so good that they look like they were bolted in the factory. Bushwacker fender flares are available for any make and model of import or domestic pickup truck and SUV including Ford, Chevrolet, Toyota, GM, and Jeep vehicles. Give your vehicle an added edge in style and performance with Bushwacker. Sam’s Motorsports is home to a vast inventory of Bushwacker bedrails, tailgate caps, fender flares, and other Jeep accessories. Enjoy big discounts and friendly customer service that will allow you to shop with confidence. 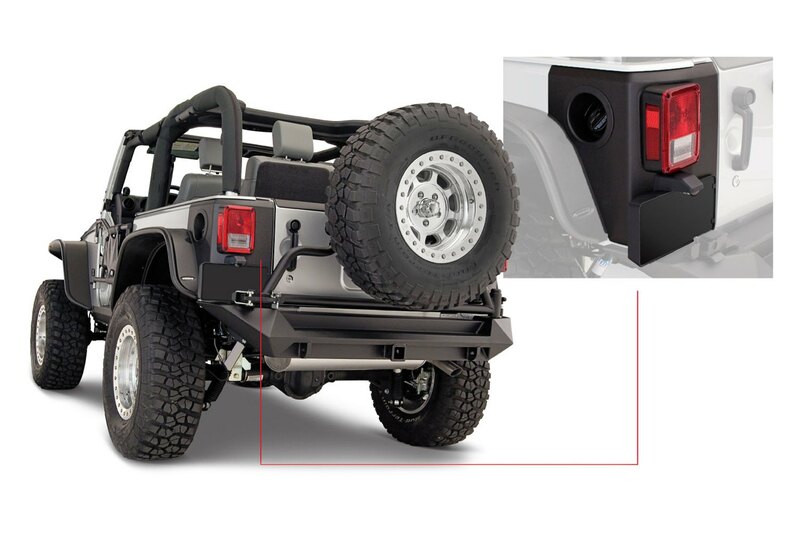 2007-2018 Jeep Wrangler Bushwacker Trail Armor Corner Guards, The Bushwacker Trail Armor Corner Guards is designed specifically to fit your 2007-2018 Jeep Wrangler without any modification to your beloved Jeep Wrangler. 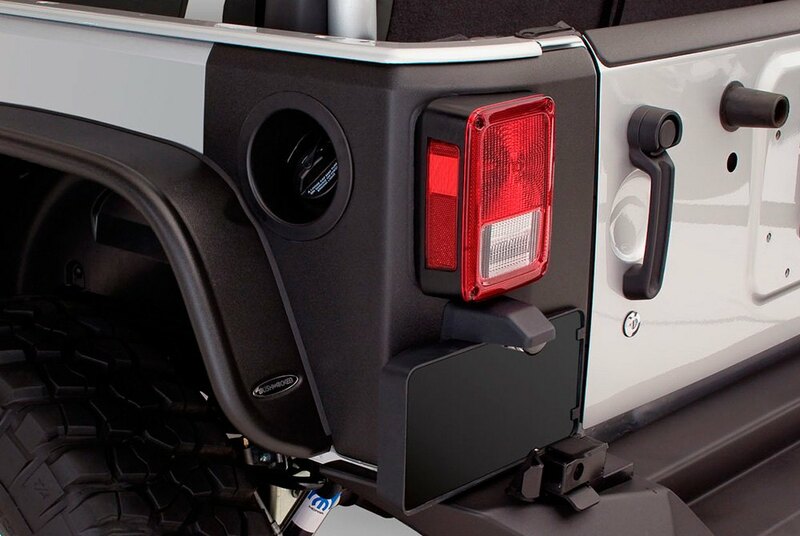 If this Bushwacker Trail Armor Corner Guards is not exactly what you are looking for to accessories your 2007-2018 Jeep Wrangler, please don't give up just yet. Our catalog has huge variety of parts and accessories for your Jeep Wrangler.